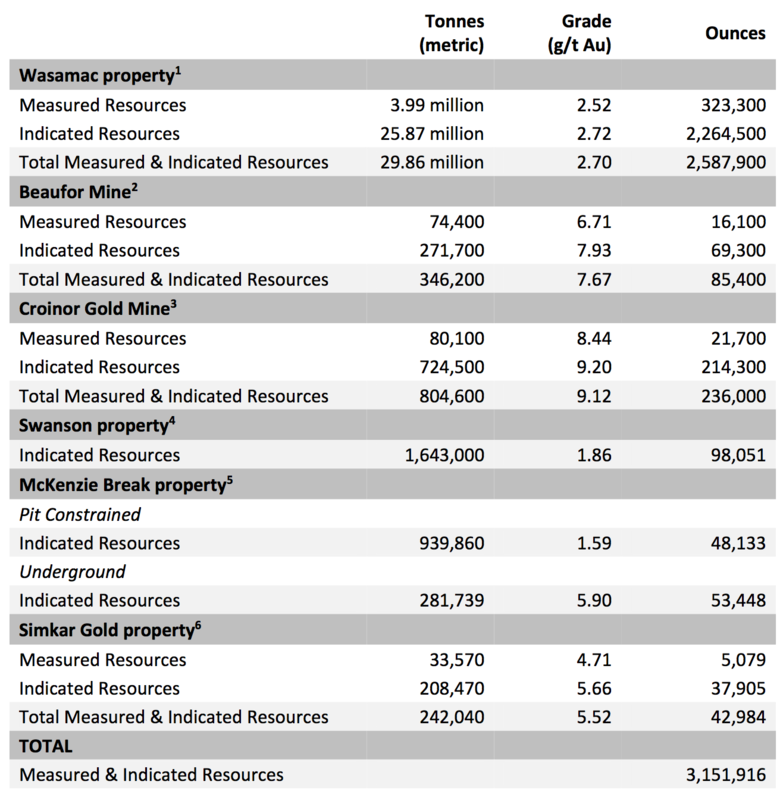 Monarques Gold combined Measured and Indicated resources now stand at over 3.1 million ounces of gold (see table 1 at the end of press release). Montreal, Quebec, Canada, July 19, 2018 – MONARQUES GOLD CORPORATION (“Monarques” or the “Corporation”) (TSX-V:MQR) (OTCMKTS:MRQRF) (FRANKFURT:MR7) is pleased to announce that it has filed on SEDAR a National Instrument 43-101 technical report for its McKenzie Break gold project. Monarques published a press release on June 14, 2018 (see press release), which summarized the assumptions and key results contained in the technical report. There are no material differences between the assumptions and estimates contained in Monarques’ press release dated June 14, 2018, pertaining to this property, from those contained in the technical report that was filed today, and which is available on Monarques’ website (see technical report). 1 Source: Technical Report on the Wasamac Project, Rouyn-Noranda, Québec, Canada, Tudorel Ciuculescu, M.Sc., P.Geo., October 25, 2017, Roscoe Postle Associates Inc.
2 Source: NI-43-101 Technical Report on the Mineral Resource and Mineral Reserve Estimates of the Beaufor Mine as at September 30, 2017, Val-d’Or, Québec, Canada, Carl Pelletier, P. Geo. and Laurent Roy, Eng. 4 Source: NI 43‐101 Technical Report on the Swanson Project, June 15, 2018, Christine Beausoleil, P.Geo. and Alain Carrier, P.Geo., M.Sc. of InnovExplo Inc.
5 Source: NI 43‐101 Technical Report on the McKenzie Break Project, April 17, 2018, Alain-Jean Beauregard, P.Geo., and Daniel Gaudreault, Eng., of Geologica Groupe-Conseil Inc., and Christian D’Amours, P.Geo., of GeoPointCom Inc.